Below you can view all the homes for sale in the Ballantyne Meadows subdivision located in Charlotte North Carolina. Listings in Ballantyne Meadows are updated daily from data we receive from the Charlotte multiple listing service. To learn more about any of these homes or to receive custom notifications when a new property is listed for sale in Ballantyne Meadows, give us a call at 704-350-2820. Spacious living areas, freshly painted and open floor plan, along with oversized 4 bedrooms/3 baths makes this the perfect home for the most discerning buyer for 28277 No doubt the allure of this exceptional treasure is hard to deny and will exceed your expectations. MLS#3487565. Helen Adams Realty. 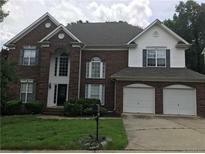 Great schools, easy access to interstates, shopping, medical, parks and recreations, and restaurants. MLS#3487867. Coldwell Banker Residential Brokerage. loaded w/cabinets, Breakfast Room, office/4th B/Room on main, Fantastic Master Suite/spacious Bedrooms, Deck, good size bonus or 5th bedroom with built in shelves, huge backyard,full yard convenient to everything. Freshly painted, new kitchen makeover. MLS#3458717. Sio Lai Cheong.